Sails on Aleut kayaks were used early on though probably copied from western sailing craft. Early sails were made of grass matting or skins though later of canvas. The sail was called sutu-x^. 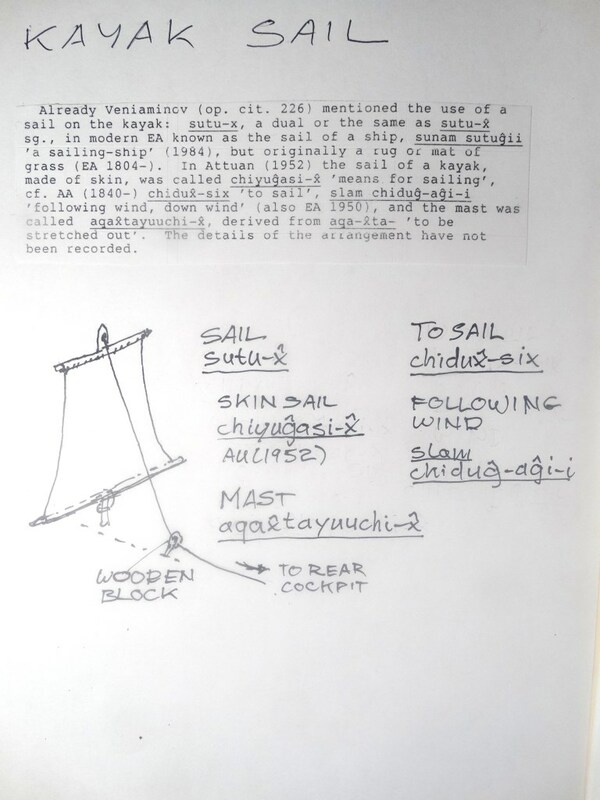 In Attuan, the sail made of skin was called chiyug^asi-x^. Sailing was done primarily down-wind which in Unangam Tunuu is slam chidug^-ag^i-i. The mast was called aqax^tayuuchi-x^. To sail was called chidux^-six^. When wind was calm or opposing the direction of travel, sails were taken down. 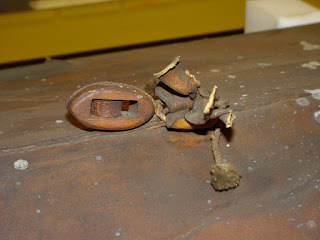 The mast was set into a mast step that was lashed to ribs adjacent to the keelson. 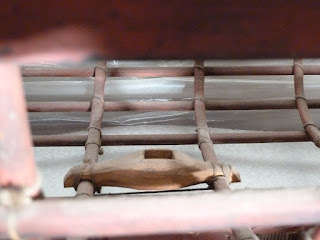 The mast entered the hull through a sleeve sewn into the skin. 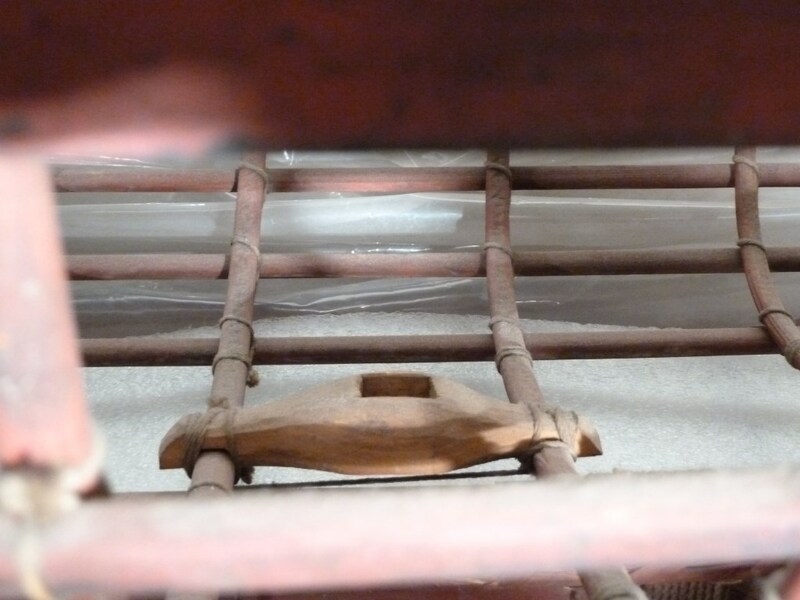 The mast was probably also lashed to the deck beam to minimize stress on the skin. 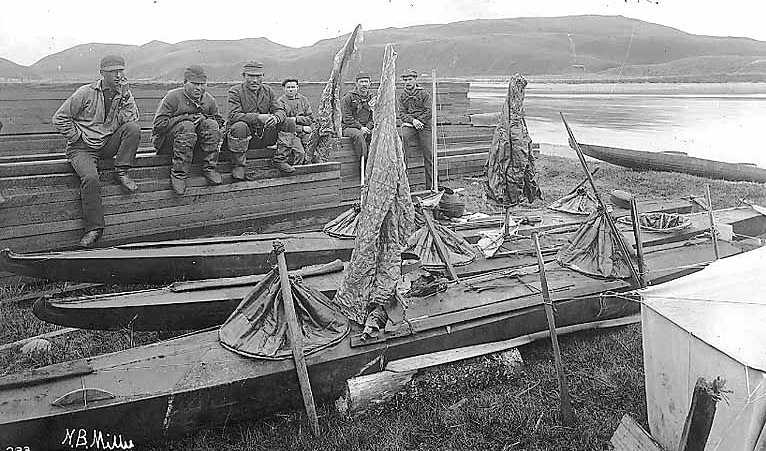 Sailing against the wind would have required lee boards and additional lines on the sail, encumbrances which the Aleuts apparently chose to avoid, probably because they weren't worth the trouble. Kayaks rigged with sails did, however, have a rudder which was controlled by the paddler in the rear cockpit. More details on that in a separate post. Although some single kayaks used sails, the sails were primarily used on doubles which were the preferred craft for hunting sea otters under the Russian regime. This photo shows a group of paddlers in two-hole kayaks. The kayak farthest to the right looks like a three-hole kayak. In all cases, the mast is behind the front-most paddler. The sails are lowered and laying on the decks. This kayak from an illustration by Elliot shows the sail in its raised position. Most likely, when the kayak was on land, the sail would have been lowered, but Elliot is allowed some license. The sail was raised and lowered by a line which went from the top of the sail through a hole or block at the top of the mast to a block on the deck. The line was controlled by the paddler in the rear cockpit. The illustration also shows the rudder. The rudder was controlled by a line which wrapped around the rear cockpit. This photo shows kayaks on land. Spray skirts are tied at the middle and raised up by a stick to form conical tents that prevent rain from getting into the kayaks. The masts are acting as clothes poles to hang paddling jackets from. This is the block through which the line runs that raises the sail. The line goes from the mast right behind the front-most cockpit down to the block and then back to the cockpit behind the sail where that paddler trims the sail. Start building your own Hollow Wood Stand Up Paddle Board or Surfboard TODAY!